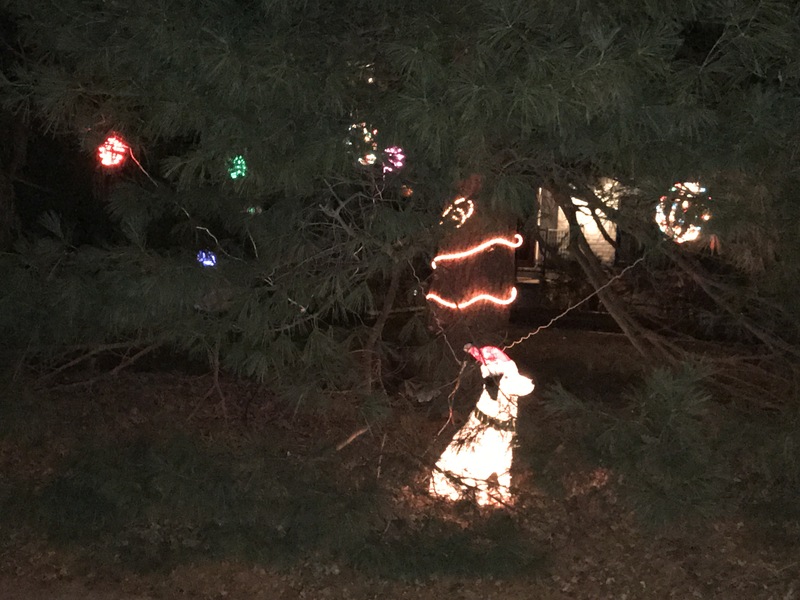 Being December, the fairy garden and Christmas dog are lit up under the DogDaz pines. It gets dark around 4:30 PM here, so we get to enjoy the twinkling of the holiday lights for a long time in the evening. The early darkness also means we are walking at a time when many cars are coming home for the evening and people are tired and speeding around the corners. Of course, everything I wear is black and so is Louise. To keep us safer during the walking time the girls wear lights around their necks (maybe I should too?). I definitely think you see Louise better with her glowing red collar, Sofie, not so much because she is blond and it is hidden in her fur. Do you wear lights when walking in the dark? Be safe out there. It’s a zoo! Charles walks back, forth, in and around Sofie so much that his leash and her’s just become one. Though February usually is the coldest month in the mid-Atlantic, it was 65 degrees many days (welcome to Maryland). January turned out to be the real freezer this year with January 5th being 5 below zero Fahrenheit. That is just too cold for woman or beast. We only take short walks on days like that. There were a few days, mostly with ice and sleet, that I just couldn’t do it at all. 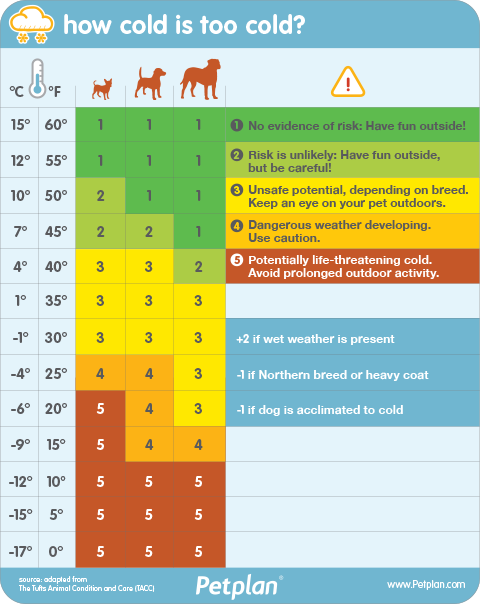 The chart below, which I found on PetPlan.com, came in handy when I was trying to figure out if it was OK for the dogs to be outside and for how long. 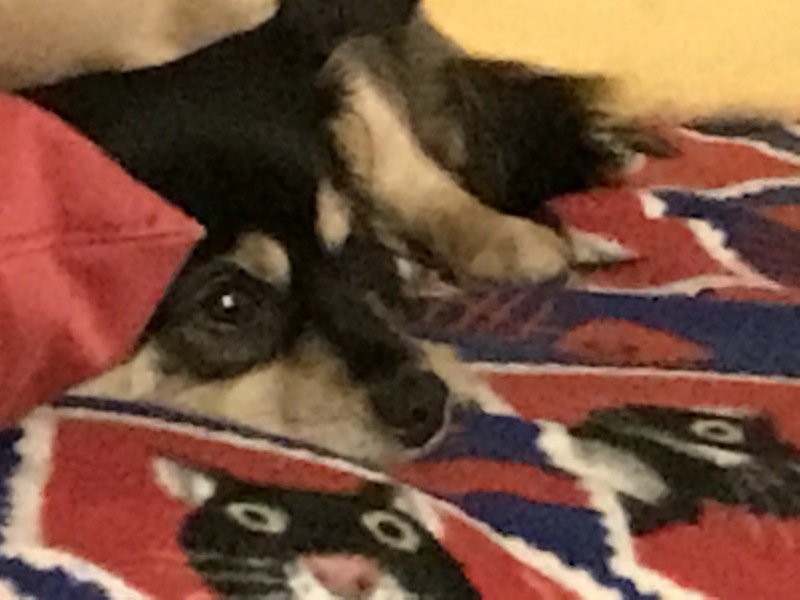 I never really thought about it much for the big dogs, but with the little guy (15 to 18 lbs) I guess I have to be more careful. The chart says even under 40 degrees could potentially be harmful to a little dog. I think he is heartier than that. What do you think? At what temperature do you only run out to do your business and come right back in? 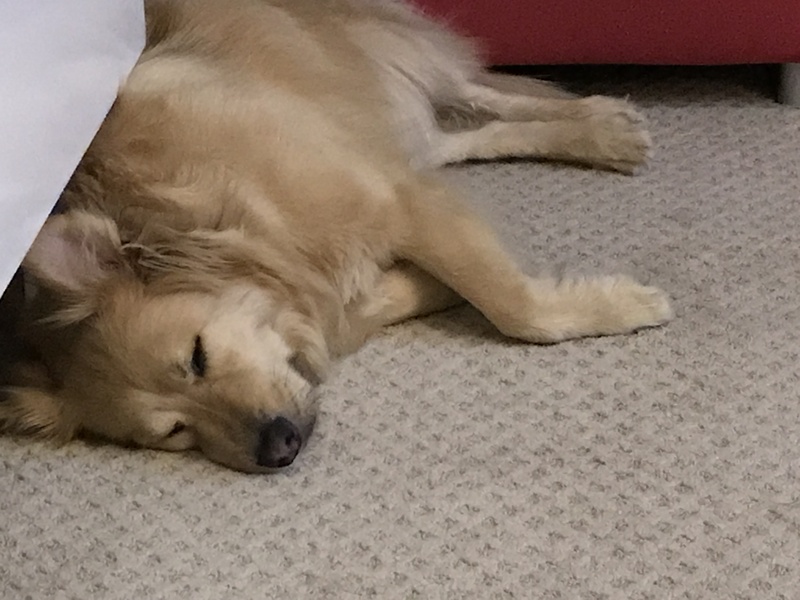 Wordless Wednesday: We Slept Through It! Yesterday was 4th of July and you know what that means – FIREWORKS! Not only was it going to be a stressful evening but when Mom was walking us to get us tired before dinner THUNDER rolled in. Mom was not sure how we were going to do this evening with all the rumbles from Mother Nature and the crackers used to honor our Forefathers (a double whammy). It didn’t start well because Louise didn’t want to eat all her dinner because of the thunder (though Sofie decided it was OK to finish it for her before Mom caught her). Mom played nice smooth jazz music for us during the storm. It always helps distract us from the noise. She thinks it is more soothing than classical (which can get quite raucous). And after the storm, we played our evening games. 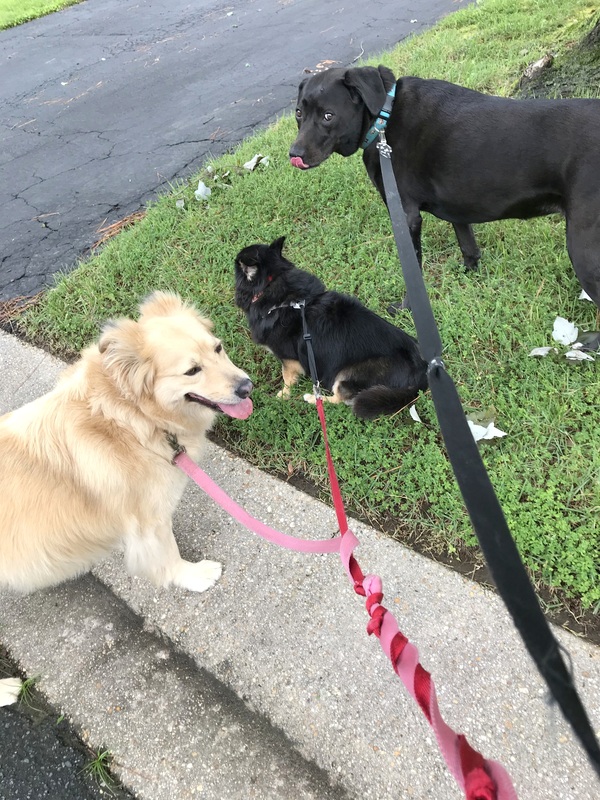 She tried to take us out to potty before it got dark, but as soon as we got in the yard we heard pop pop pop and ran back inside. Once it got dark, everyone was watching TV and it drowned out most of the crackers and, as you can see from the pictures, Louise and Sofie were able to snooze right through the ‘1812 Overture.’ I was a little concerned but managed to see myself through until I could go ‘night night’ in my downstairs kennel, with the curtain down, and the music up, and some extra treats. 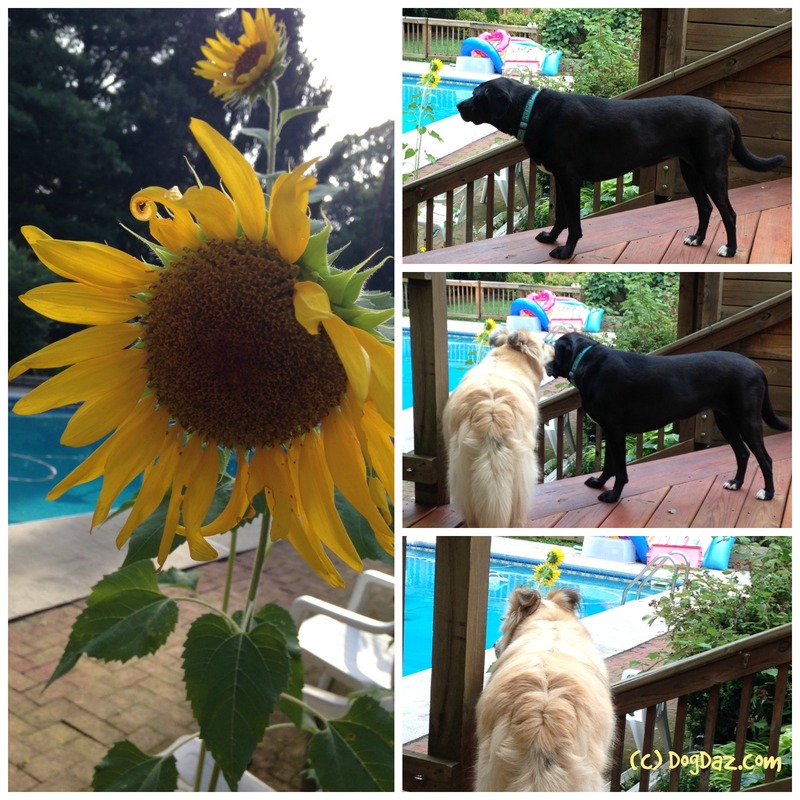 Wordless Wednesday: Walk Me, Please!!! Mommy has not been able to walk us for 40 days now. I am dying. Even though Amanda and Sonya and Danielle all come and take us for walks, I want MOMMY! 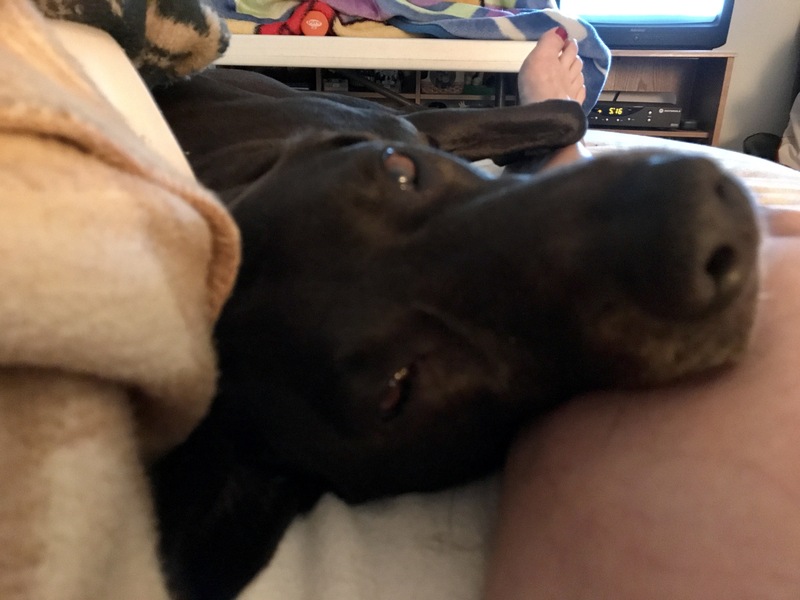 Please Mommy, can’t you take that cast off already and walk me. No one walks like you do. 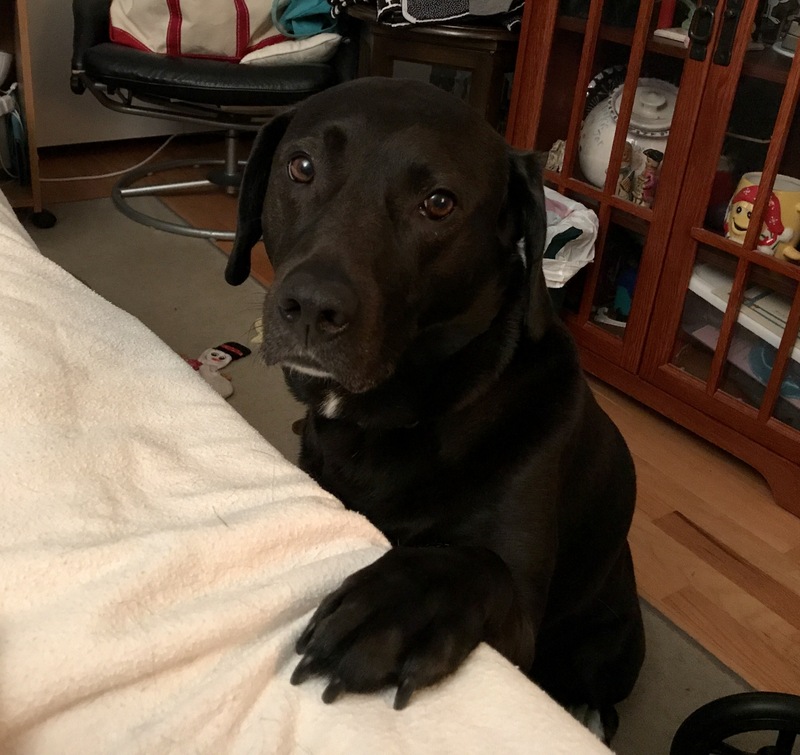 PLEASE, I promise to be good and eat all my dinner. Being December, the fairy garden and Christmas dog are lite up under the DogDaz pines. Since it gets dark around 4:30 PM here, we get to enjoy the twinkling of the holiday lights for a long time in the evening. The early darkness also means we are walking at a time when many cars are coming home for the evening and people are tired and speeding around the corners. Of course, everything I wear is black, and so is Louise. To keep us safer during the walking time, the girls wear lights around their necks (maybe I should too?). I recently read that flashing light collars are not healthy for dogs (I can’t find the article to share it here). It said that the flashing can scare them, give them headaches, or even seizures. That would not be good. So, to be a good pet protector, I have been putting their lights on the steady mode. My dilemma is that I don’t think people see the dogs as well (check out the video of us blinking below). What do you think? I like the blinking for safety and I really think that the flashing is actually behind them, so do they really see it? 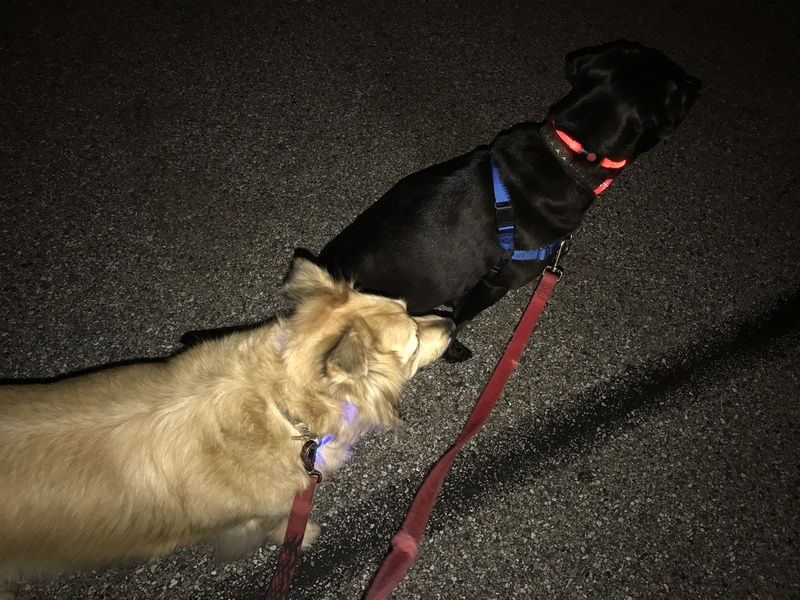 Do your dogs wear lights when walking in the dark? Do your use flashing or steady lights? You can sure see Louise better in the darkness with her red light on. Sofie’s blue light is almost hidden in all her fur. The incredible heat wave that is blanketing the United States continues. It is impossible to be outside for very long. 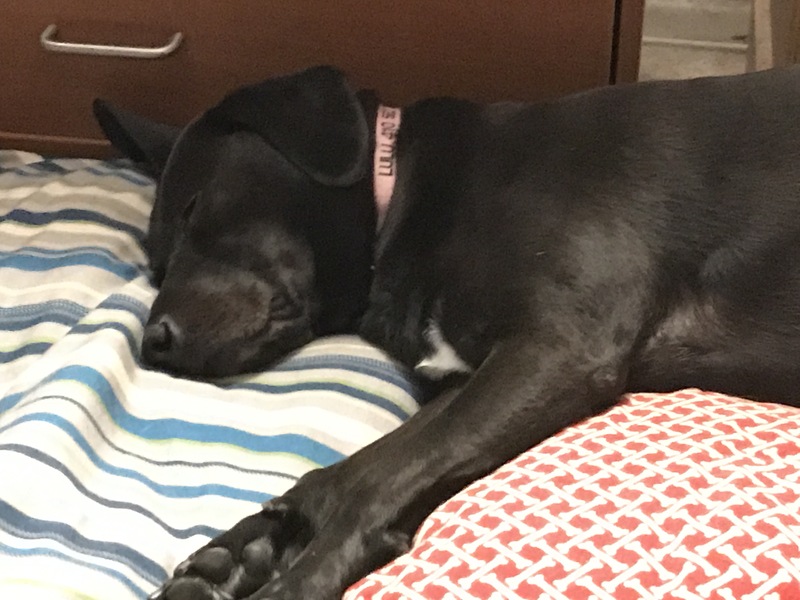 Louise doesn’t care how hot it is, she still wants to go for her twice daily walks. Walk early or late. Before the heat builds up. Know your dog, especially if they have those cute smushy flat faces, like pugs. Breathing can be hard on them in the heat. Heavy set dogs like Sofie with her massive coat of fur, should be outside for only short periods (20 minutes maximum). Dogs don’t sweat. Make sure to keep them hydrated. Check their gums and skin for signs of dehydration. Dogs cool from their paws and belly. Don’t waste water on the top of them. Jump from one shady spot to the next trying to avoid as much sunny street as possible. If you can’t go from shade to shade then try to walk on dirt or grass or at least move quickly. Do regular paw checks. Hot paws are bad. Cool paws are good. Water down the paws immediately if hot. 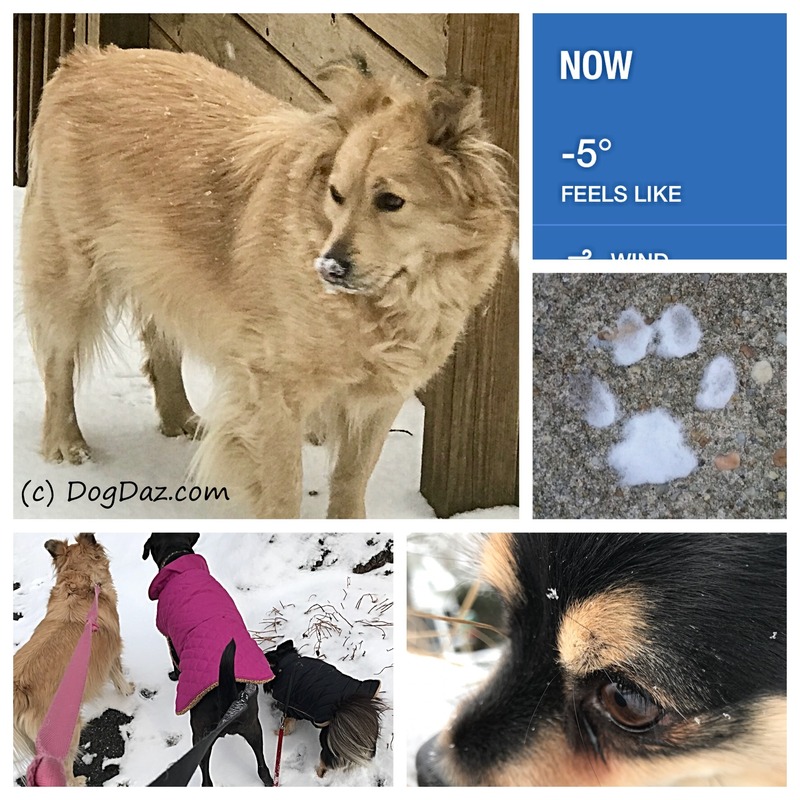 Touch your dogs paws at home to get a sense of what they feel like temperature wise when normal. We tend to take sit breaks in the shade, on the grass or dirt if we can. Sofie likes to dig down to the cool stuff. As long as it is not in someone’s yard, I let her dig away. Room temperature water is much better to bring than ICE. On a hot day, ice is toooo cold and could have a negative effect. Use your water bottle to cool paws and drink. Stay close to home. This way if you see the furry struggling, you can get home lickety split (aka – fast). Sofie wants to plant herself next to the sunflowers and not move. Sounds like a plan to me! 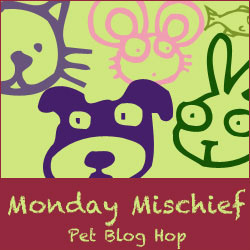 What COOL mischief did you get into today?